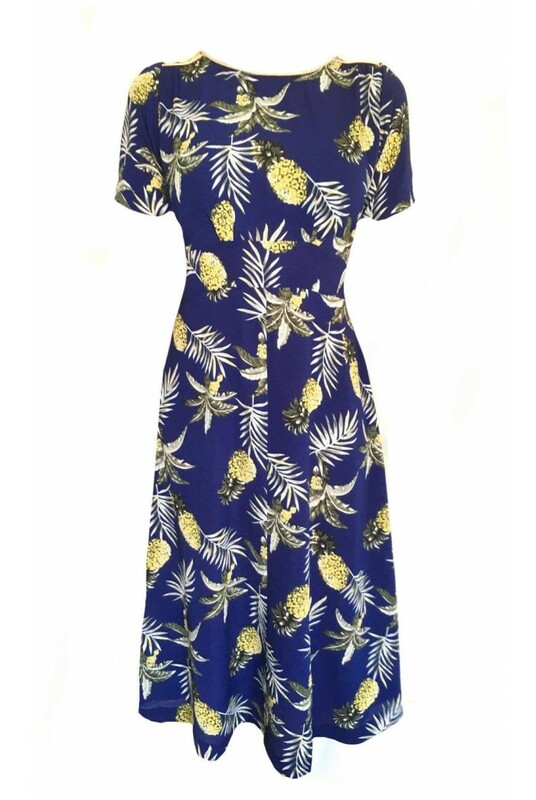 Bringing a pop of Autumnal colour and a burst of brilliance, this Pineapple Print Prom Dress will be your fashion forte this season. 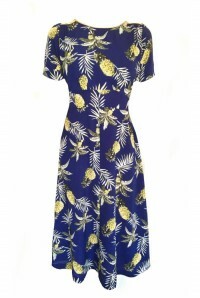 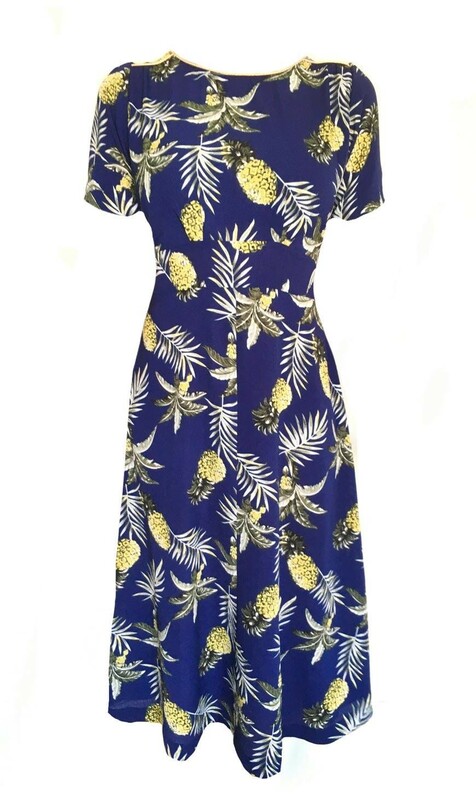 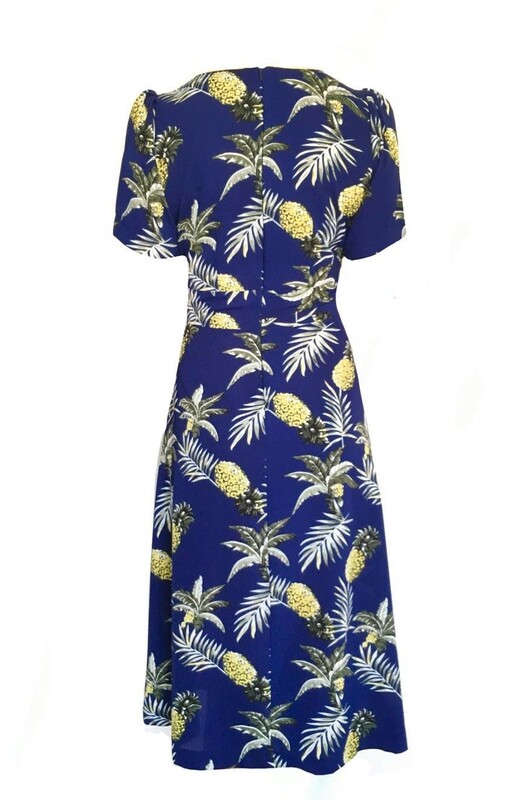 Not only will this navy blue fit and flare dress get you that classic hourglass figure (which is super flattering, whatever your size), the quirky print allows you to rock a classic 1950s style but not take yourself too seriously. 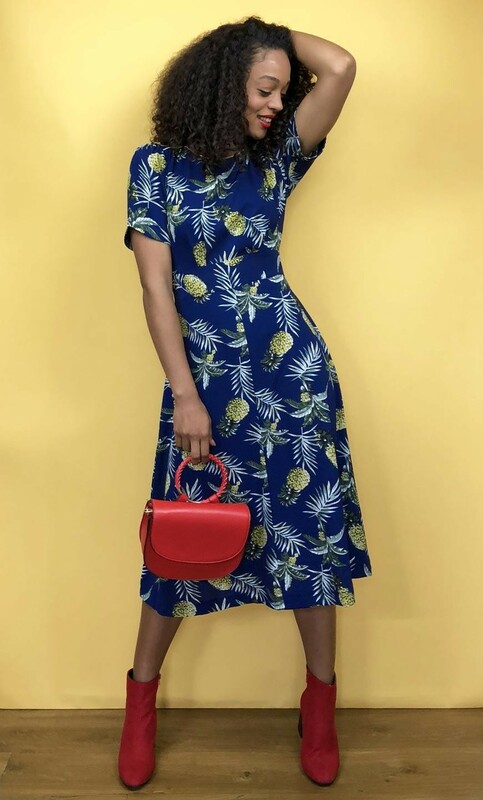 We are teaming this blue midi length dress in the day with sneaks and socks and then, for a casual wedding guest dress vibe, with suede boots and a cross body bag.